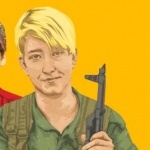 “What is Jineolojî ? Why is it important? Why did you gather here, and what will you take on board?”. This is what Zozan Sima, member of the Jineolojî Committee in Rojava, asks the 31 young women gathered around her at the beginning of her lecture. 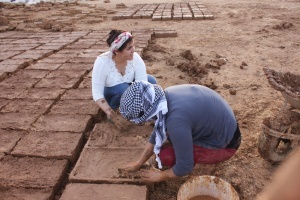 Her seminar is part of a week long Jineolojî youth camp which takes place in Jinwar, Rojava’s women village. 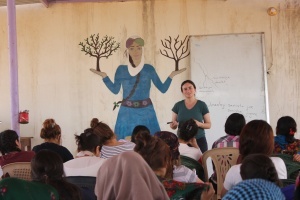 Then she goes on to explain the construction of the word “Jineolojî”, which comes from “jin” – women in Kurmancî, and “loji” – which means science in Greek. It is the science of women, also “Ilm Al-Marra” in Arabic, as explained by one of the Arab comrades. A discussion about the utility of science and the conclusion that cooking is also a science, widely spread among women, follows. We also agree that life is the source of science and that we should re connect to it. The tent where the seminars take place was built in the middle of the garden, between apricot trees, the walls are decorated with pictures, Kurdish traditional clothes, hand maid creations and banners with quotations such as :“Pêşxistina jinê tolgirtina ji koletîye ye” – “The progress of women is revenge against oppression” and “Heqîqet eşq e, eşq jî jiyana azad e” – “Truth is love and love is a free life”. It has been the place of daily gatherings, learning, sharing experiences and different perspectives. 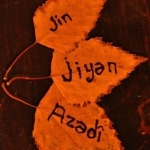 Seminars are held on different topics: Women’s history in the world, Introduction to Jineolojî, Ethics and Aesthetics, Anatomy and knowledge about womens bodies, Jinwar’s approach on life and the pillars of Hevjiyana Azad, or how to construct free and egalitarian relationships. To link knowledge and reality, an afternoon trip to the archaeological excavations on Til Bender hill close to Heseke shows us the heritage left by the first civilizations as part of women’s history. Traces of the natural and matriarchal societies can be observed and felt all around the ancient hills of Rojava. 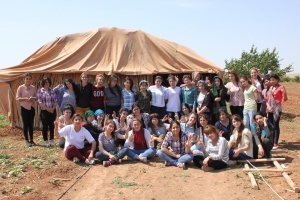 On the last day we organize a Moral, a celebration for which almost everybody had prepared something – many songs, a theater piece, a humorous sketch imitating fellow companions and a compilation of videos and pictures reflecting the time spent in the camp. The goodbye the next morning is really emotional, city by city we all leave, some crying but still full of hope and promises to meet again. 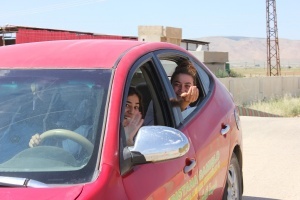 Even if the time frame of the camp and of each seminar and activities was quite short, the point was to destroy the borders which i mprison our minds and bodies, as it happened for example during the driving lessons in a country where traditionally women were not encourage to drive. The camp also provided us with tools to develop an awareness of women’s oppression, which can be used by each of us in our personal and collective life. 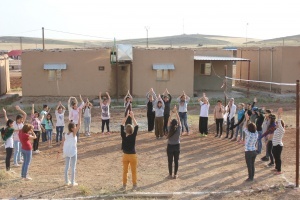 Ideas of joining or creating own Jineolojî committees, bringing its perspectives into youth youth centers, joining car lessons and continuing with Taekwondo were thrown around. At the end something changed, doors inside our minds opened and some fears vanished. 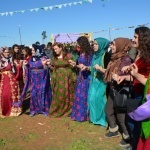 Women left the camp with more light, got to know each other and deepened their understanding, with new impulses and perspectives on the path of “Jin, Jiyan, Azadî”.